Next week there will be a Garage Sale in the little village I grew up in and just as we did last year and the year before, my daughters and me signed up to participate. My daughters are busy making bracelets at the moment and I'm crocheting market bags, dream catchers and key chains for my daughters to sell (and of course they can keep the money; I think it's just a nice experience for them to learn how to earn their own money). The Ice Cream Cones I made before. Last year I crocheted the Girly Bags for the garage sale, with different themes. One of them was the Ice Cream Bag and that one had a Ice Cone Key Chain, too. 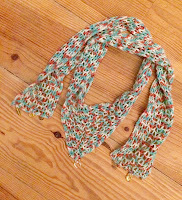 My Boho Chic Shawl was featured by Pattern Paradise, by Oombawka Design and by Creative Jewish Mom!! 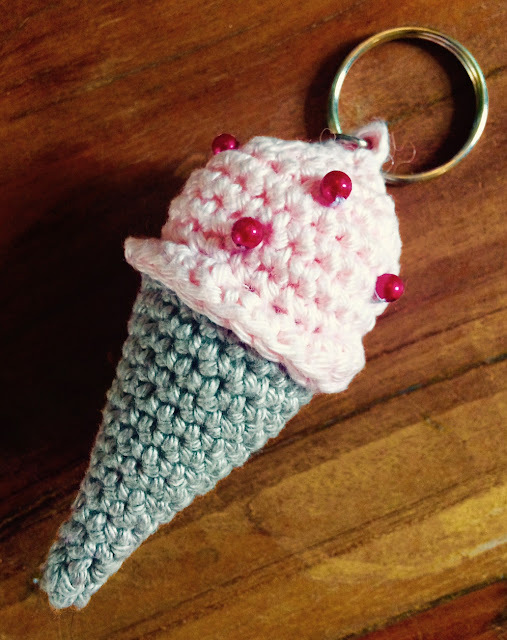 The ice cream cone keychain is adorable. It's so nice that your daughters are learning to earn their own money. 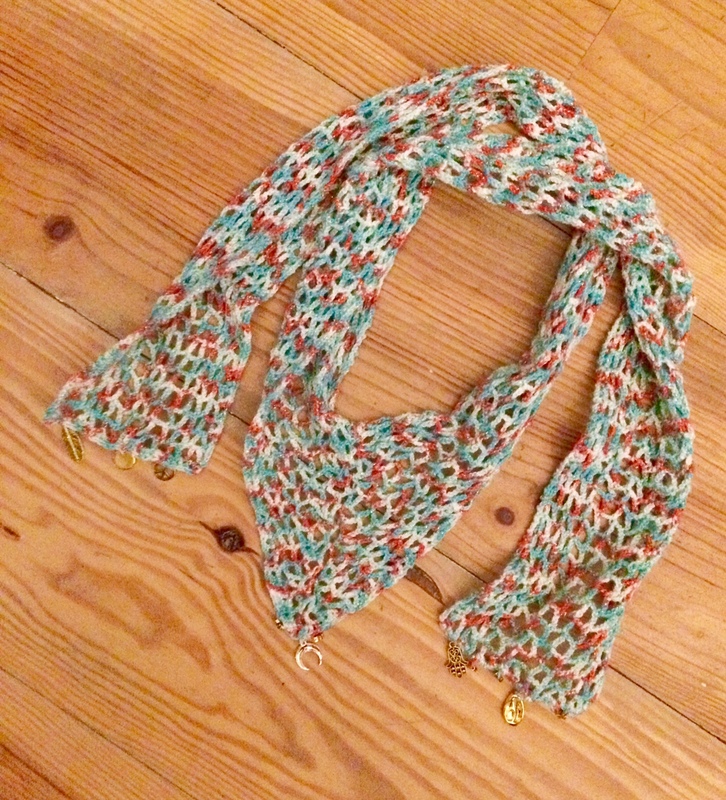 I saw the boho shawl on another site and thought it looked really attractive. Perfect summer accessory!! I hope the garage sale is a great success! Aww, the ice cone key chain is so cute! 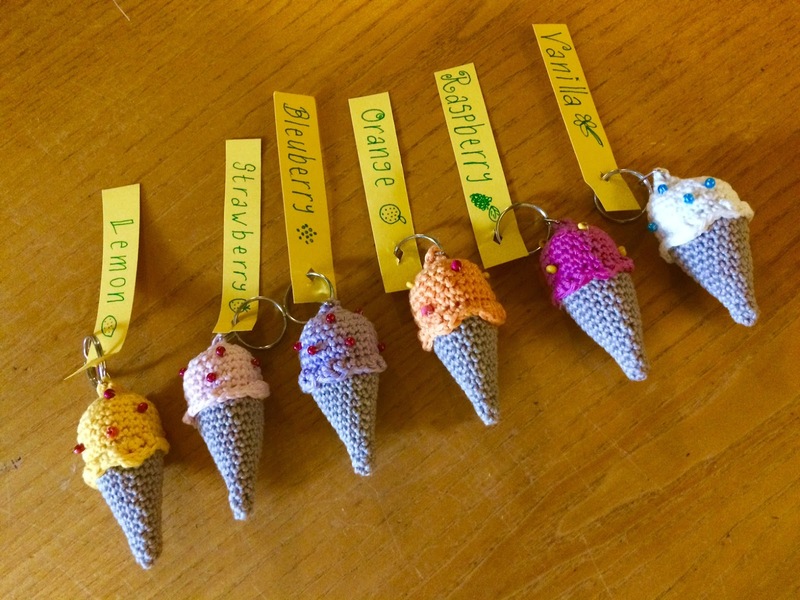 Those little ice cream cone keychains are adorable! I could also see them on a little girls backpack as a zipper pull. Love your ice cream cones! And what a great opportunity for your girls! So much fun and love it all! Good luck at the garage sale I'm sure you'll sell out in the wink of an eye! thanks for sharing on craft schooling Sunday! Such a sweet keyring idea, your bags are very very pretty too. I hope the sale goes well for you all. I love that key ring and your other creations. Thanks for sharing them at Cooking and Crafting with J&J. This is so adorable and I have to give this a try. Thank you for sharing at Dishing it and DIgging it link party. Những que kem móc khóa thật sự rất xinh, tôi cũng muốn một chiếc!